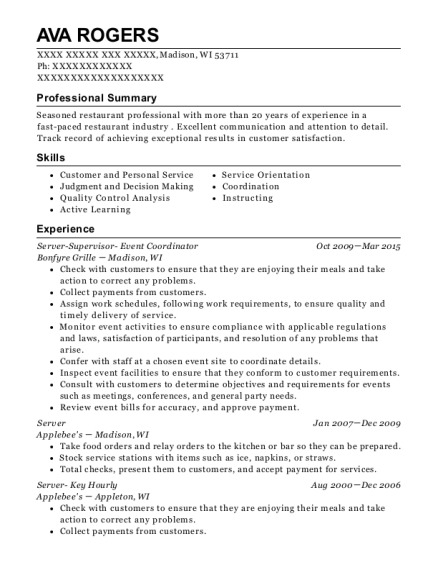 Participate in financial activities such as the setting of room rates, the establishment of budgets, and the allocation of funds to departments. 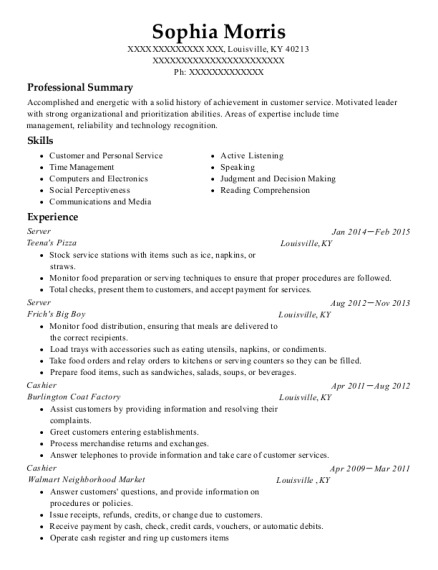 This is a resume for a Server in Dublin, Ohio with experience working for such companies as El Vaquero and El Vaquero. 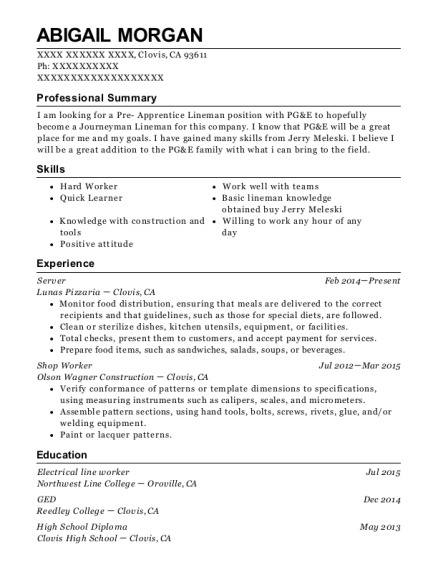 The grade for this resume is 0 and is one of hundreds of Server resumes available on our site for free. 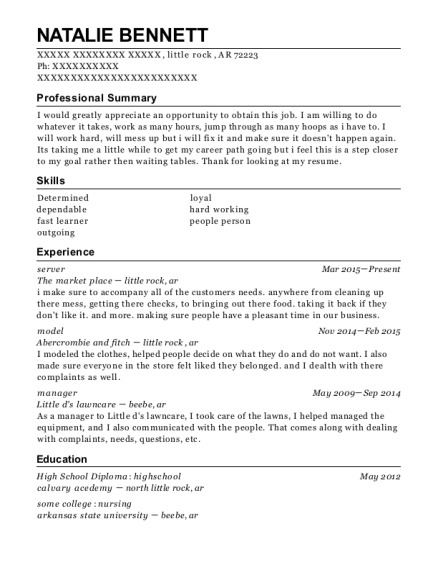 Use these resumes as templates to get help creating the best Server resume.